Enjoy a hands on cocktail making instructional, teaching everything from balancing and ratios to specific tools and techniques in our private speakeasy. 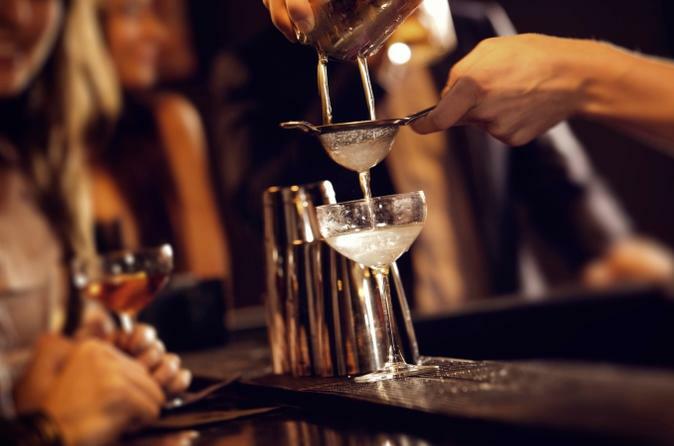 Learn mixology 101 and bring the bar experience home. Begin your mastery of techniques to become a better home bartender. This workshop is in partnership with FIG Catering & Drinks. Must be 21, drinks and snacks included. Prohibition Tours office located at 3636 S Iron St in Chicago's Bridgeport neighborhood. We recommend gathering next door at Marz Brewery at least 15 minutes prior to class. A member of our staff will gather you together 5 minutes before the tour and bring you into our Speakeasy. Special Offer - Book and save 10% compared to the local supplier's prices! Valid for travel through September 3rd, 2018. - Book Now!